minimalist yet elegantly designed dashboard app for statistics tracking. keep up to date on a variety of popular sites you may have accounts with (incl. 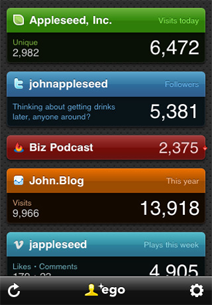 google analytics, twitter and feedburner). i use this app every day for my own sites!